yljets-8 has no other items for sale. 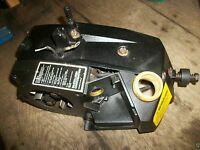 Mcculloch Wildcat Chainsaw "Crankcase" parts unit. 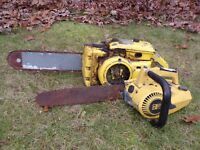 Craftsman TRIMMER Brushcutter "GEAR HEAD&DEBRIS SHIELD" Used. MCCULLOCH POWER MAC 6 "piston&rod" some scoring,still looks usable to me.